One of the most versatile pieces of equipment used today by conditioning professionals is the SB (i.e. “Swiss balls”, “Fit-balls”, “Physioballs”, etc.). SB’s have had long-standing success in the world of clinical rehabilitation. However, due to their effectiveness in developing balance and core strength, athletic trainers, coaches, personal trainers and physical education teachers have begun to integrate them into their programs. Now they are the new craze in the world of athletic and functional conditioning. The history of the SB originates back to the early 1960s. It was made by an Italian toy maker, Aquilino Cosani, and sold primarily in Europe as the Gymnastik. In 1981 Cosani started a new company, Gymnic. These two companies are still in Italy and are the major suppliers of SBs throughout the world. The SB’s clinical application by Dr. Susan Klein-Vogelbach, a Swiss PT, can be traced back the 1960’s. Through a series of classes, seminars and clinical workshops, the SB made its way to the San Francisco area in the 1980’s. Since the 1980’s, the SB has slowly gone from the rehabilitation setting into the fitness and athletic arena. Paul Chek, NMT was one of the pioneers in evolution of the stability ball as a performance enhancement tool. He was one of the first to use the SB, in the late 1980s, to rehabilitate and condition elite athletes. Due the SB’s success and growing popularity, the last decade has seen the birth of various programs developed to educate professionals on their use. In Europe, SBs have been used in schools as chairs. The benefit of this type of application has reported as; improved focus, concentration, handwriting skills, better understanding of class material, and better organizational skills. There are several pilot studies in the US using the SB in schools. The preliminary data is consistent with that found in Europe. In our field of strength and conditioning, we often come across individuals who want to lay claim to ideas and methods. These individuals, suffering from the ‘I was the first person to do this exercise’ syndrome, believe that because they have come up with an ‘original’ idea, they were the first to ‘invent’ it – obviously not the same thing. The use of ball balancing can be traced back to the circus, and probably before that. Im currently working with the Circus World Museum to obtain a brief history and any pictures that may be available on the use of ball balance. I will pass them along as I receive them. The body’s own normal processes, to establish and restore balance. From the clinical setting, the SB made its way to the sports arena in the 1990’s. Therapists with athletic backgrounds, such as Paul Chek, realized that the SB could be applied more aggressively to actually enhance the performance of athletes. 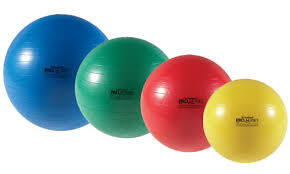 Now, the stability ball can be found in just about every professional strength facility. Articles with the likes of Shak O’Neal using the stability ball, have made their way into conditioning magazines, furthering the SB’s popularity. As the popularity of the SB grew, it also started to make its way into fitness conferences. As professionals using the SB delivered educational presentations, personal trainers immediately saw it as a tool to enhance client interest and performance. Personal trainers have now brought the SBs into commercial training facilities. Articles in popular fitness magazines also started to appear at an increasing rate, creating the increased awareness we see today. Just about every commercial gym I go into now has at least one stability ball. Some have even developed group classes. 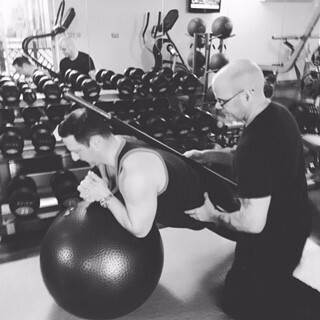 Due to the stability ball’s popularity within the rehabilitation and fitness industry, they have made their way into the private sector. Although the initial home use might have been rehabilitation, the stability ball is now used by many as a chair for their office, for regular strength training, and for play. Most, if not all, of my clients have them at home and regularly use them to keep their core functioning at its optimum. My clients also report that any one, who comes into a room where the SB is, ends up asking questions about the SB, as they sit and begin to play on it. They are a natural for fun and play! The next section of this series will deal with the science and practice behind the SB. We will look into the scientific efficacy behind the SB and compare that to anecdotal observations we practitioners are experiencing. Following sections will deal with exercises selection and programming.